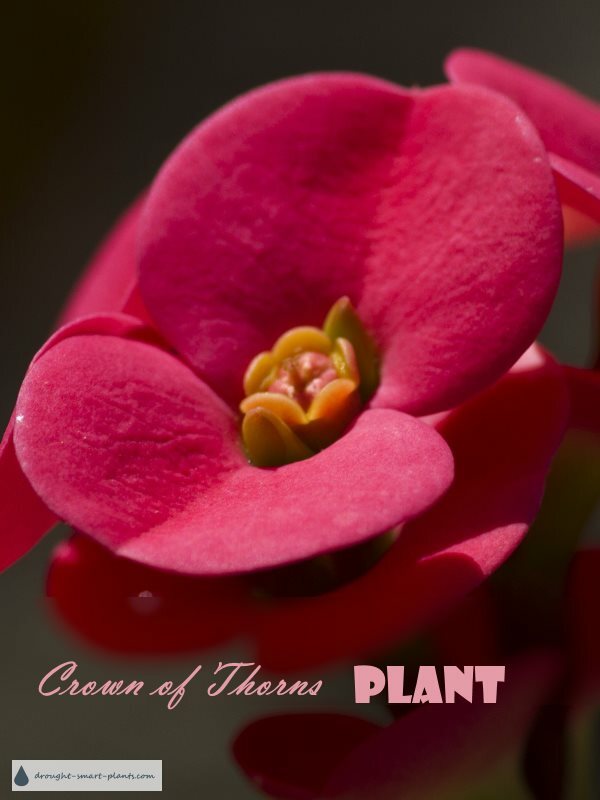 The Crown of Thorns plant is aptly named - although it was not the plant purportedly used as the crown in the crucifixion, it does have red flowers which look like drops of blood. 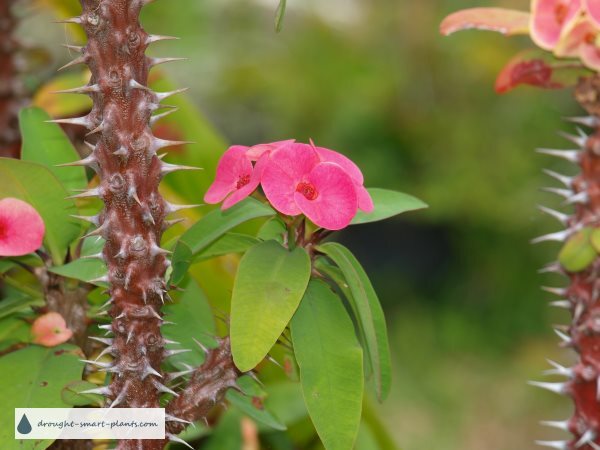 Although this plant, Euphorbia millii, has leaves topping the thorny stem, this doesn't mean it likes more water. 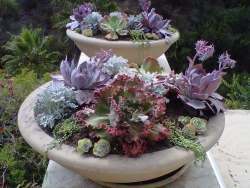 They are so drought tolerant that many novice growers give it way too much water, and kill it off. One of the give-away characteristics of every member of the genus is white latex-like sap, and this plant is no exception. Keep in mind that this is caustic and poisonous, especially if it gets on the skin or in the eyes. In time, the stems get very woody and tough, and covered in prickles. The flowers are generally red, or pink, but occasionally they are also white. They are simple, with only two fused petals, and the center of each flower is usually yellow.